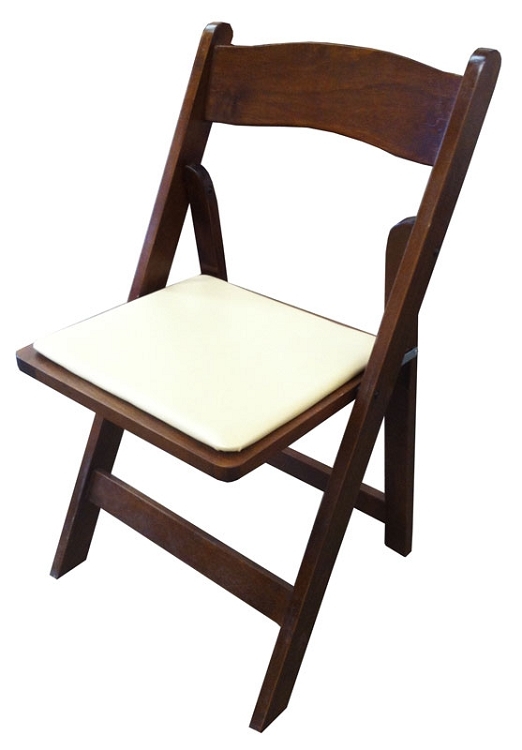 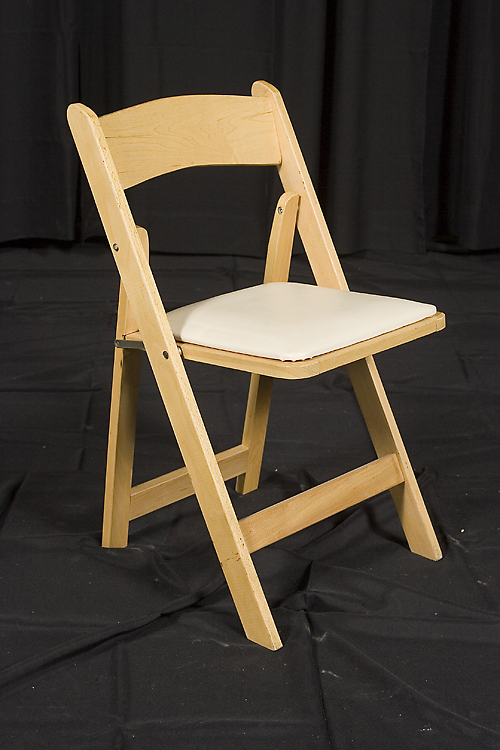 White Wooden Folding Kids Chair. 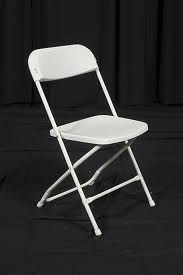 Recommended for children under the age of 6. 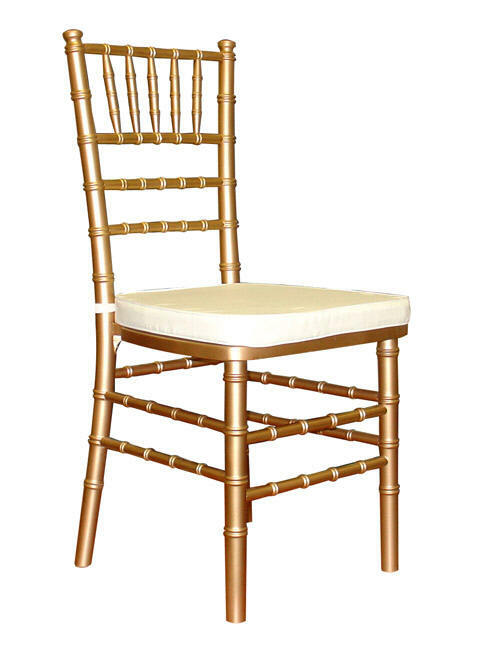 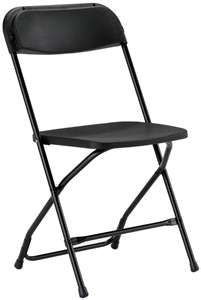 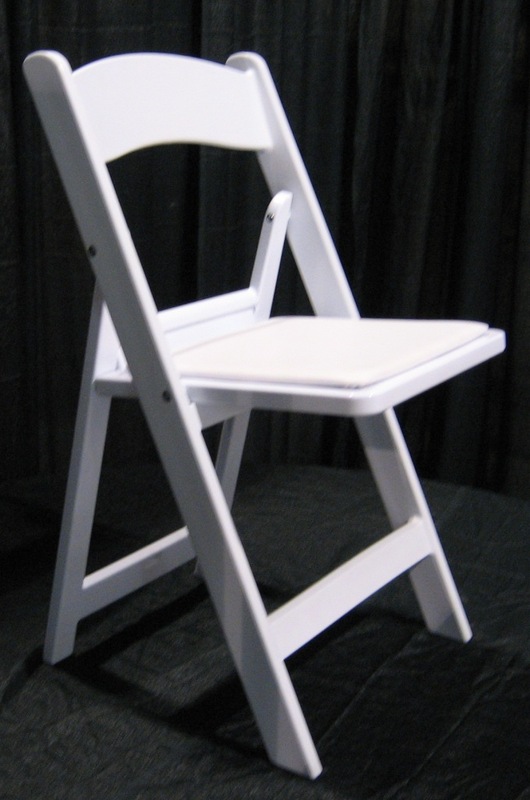 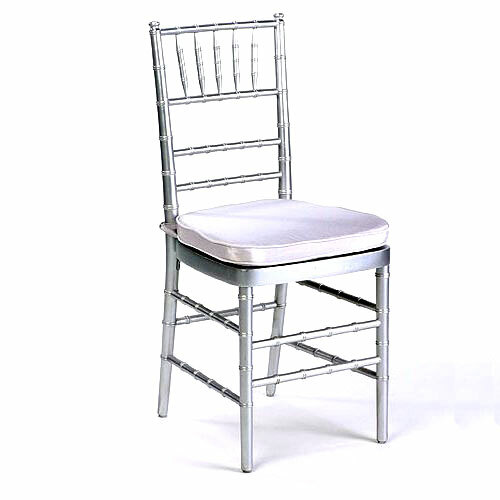 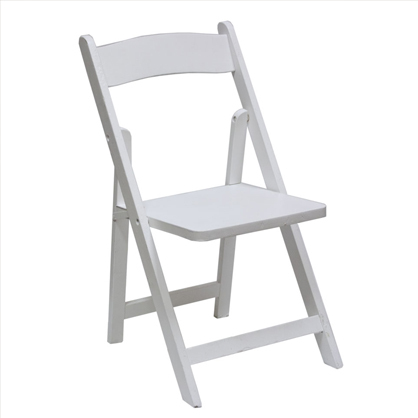 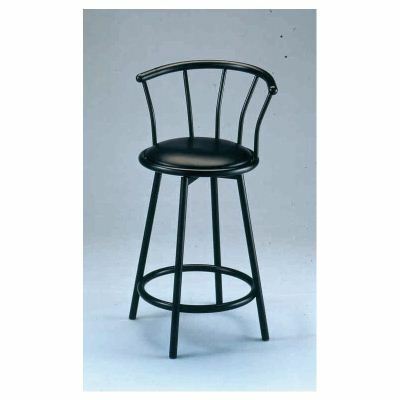 White resin folding chair with white seat pad.